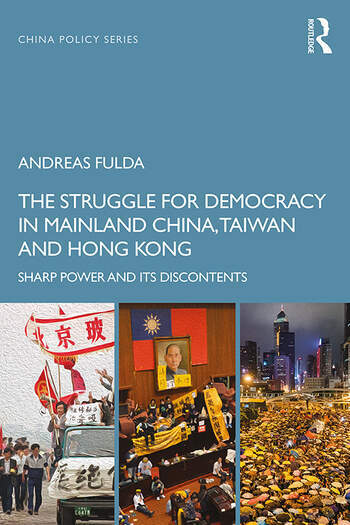 The key question at the heart of this book is to what extent have political activists in mainland China, Taiwan and Hong Kong made progress in their quest to liberalise and democratise their respective polities. Taking a long historical perspective, the book compares and contrasts the political development trajectory in the three regions from the early 1970s – from the election-driven liberalisation in Taiwan from 1969, the Democracy Wall Movement in mainland China in 1978, and the top-down political reforms of Governor Patten in Hong Kong after 1992 – until the present day. More specifically, it sets out the different strategies and tactics political activists have taken, assesses the lessons activists have learned from both successes and failures, and considers how these experiences have informed their struggles for democracy. Importantly, the book demonstrates that at the same time, throughout the period and earlier, the Chinese Communist Party (CCP) has been making use of "sharp power" – penetrating the political and information environments in Western democracies to manipulate debate and suppress dissenters living both inside and outside China – in order to strengthen its domestic position. The book discusses the nature of this sharp power, explores the rise of the security state within mainland China and examines the effectiveness of the approach, arguing that in Taiwan and Hong Kong the approach has been counterproductive, with civil society, campaigns for greater democracy and the flourishing of religion in part stimulated by the CCP's sharp power practices. Preface, 1. The struggle for democracy in mainland China, Taiwan and Hong Kong, 2. Mainland China's incomplete modernisation, 3. Dissecting the dynamics of the struggle for democracy, 4. Theories of and for political change, 5. The calamity of Chinese Communist Party rule in mainland China, 6. The trials and tribulations of mainland China's democracy movement, 7. The rise and demise of the KMT party-state in Taiwan, 8. Taiwan's election-driven democratisation, 9. Origins of Hong Kong's semi-democratic status, 10. Hong Kong's democracy movement: a canary in the coal mine?, 11. Sharp Power and its Discontents.